A combine harvests the dried crop. In recent years, farmers in the Midwest have transformed millions of acres of prairie grass to rows of corn. High crop prices are a big motivation, but some also believe crop insurance is encouraging farmers to roll the dice on less productive land. Soybeans near Mansfield, Ill., on Tuesday, August 20, 2013. In recent years, farmers have plowed over prairie lands to plant more crops, such as soybeans. Rod Christen and his sister Kay farm corn, soybeans and wheat on their land near the small town of Steinauer, Neb. But their main crop is grass. On a cool October morning after a thunderstorm, we walked through one of the family’s native prairie pastures: yellow bunches of goldenrod and bluestem shimmering in the breeze. Between 200 and 300 cows and their calves graze year round on the prairie grass. It’s both a natural resource and the farm’s foundation. Christen said some of their pasture land is virgin prairie. It has never been plowed. But in recent years he has noticed more farmers taking cattle off nearby pastures to plant corn. “Even some steep, sloped and poor ground is being farmed,” Christen said. 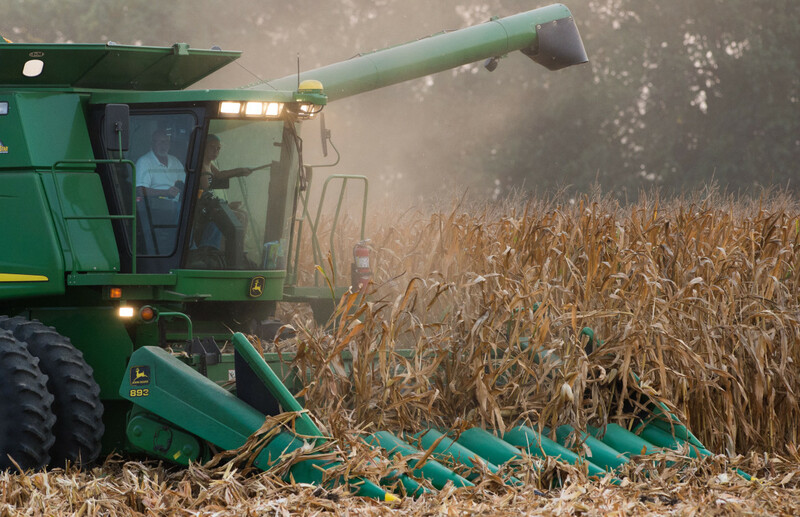 In recent years, high grain prices spurred by the ethanol boom set off a nationwide plow-up. A study by the Environmental Working Group shows from 2008 to 2011 farmers reclaimed 23.7 million acres of grasslands, wetlands and woodlands for farming – an area roughly the size of Indiana. 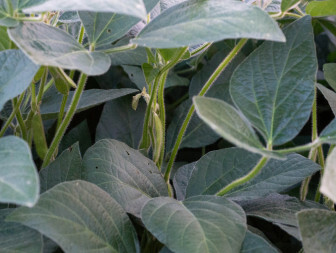 “When you have corn and [soy]bean prices as high as they’ve been for the past year-plus, you expect some pasture land is probably going to go to crop land,” said Mary Kay Thatcher of the American Farm Bureau Federation. Some of that land had been farmed in the past but was enrolled in a conservation program that pays farmers to temporarily keep land out of production. But land that has never been farmed is also being turned into new farm ground. The U.S Department of Agriculture reports that in 2012, 54,877 acres of land in Nebraska with no history of growing crops was broken out for farming. That was the most in the country, but the same thing is happening across other Midwest states like South Dakota, Iowa and Kansas. Traci Bruckner of the Center for Rural Affairs said some of it is marginal land – land that may have poor soil or be prone to erosion – and isn’t suitable for farming long-term. But Bruckner said federally subsidized crop insurance adds extra incentive for farmers to break out even poor farmland for short-term gain. If the crop thrives, farmers cash in on high prices. If it fails, they can lean on the insurance. A bi-partisan “sodsaver” provision in the farm bill would change that. It would cut premium subsidies and lower the potential insurance payout on crops planted on busted sod. Bruckner and some environmental groups are campaigning for the Senate version of the sodsaver rules, which would apply nationwide. The House would limit the sodsaver provision to the Prairie Pothole Region, a group of wetlands in the Dakotas, Minnesota and Iowa that are critical to waterfowl breeding. If farmers want to take the risk, Bruckner said, it should be their risk to take. Just a few years ago Rod Christen and his family had to decide whether they wanted to risk trading grass for corn. It was on a field that for 15 years was under contract in the federal conservation program that keeps crops and cattle of the land. The contract expired just as crop prices were shooting up. “Big sways in the market kind of make you think, you know?” Christen said. While it was tempting to plant corn for a few years and make some extra, in the end the field stayed in pasture. For the way the Christens do things, taking out the grass didn’t add up. Christen said what worked for them wouldn’t work for everyone; each farmer has to do the math for themselves. Groups hoping to preserve prairie grasslands are hoping changes in crop insurance are enough to ensure farmers are making a long term calculation.